Students learn to add, subtract, divide and multiply. They learn to model fractions, record length, area, volume and mass. They learn to tell the time in analogue and digital formats, calculate angles, and use coordinates to plot positions. Students learn to gather data and create and interpret graphs. Students learn to identify and draw 2D shapes and 3D objects, compare and describe their properties. Students develop mental computation skills and learn a variety of strategies for solving problems. They ask questions and use appropriate terminology when explaining reasoning. Students learn basic Coding and Robotics, developing logical thinking skills to problem solve. 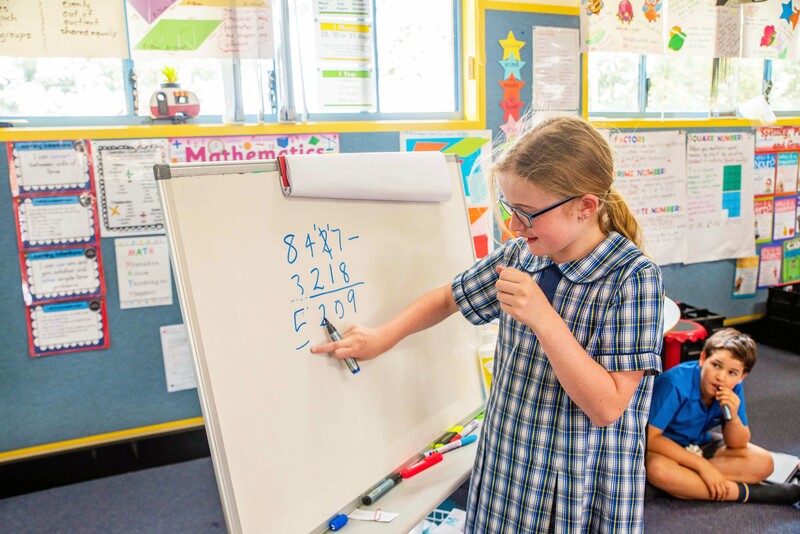 All classrooms are equipped with Mathematical hands-on material, which are exciting and stimulating for learning.